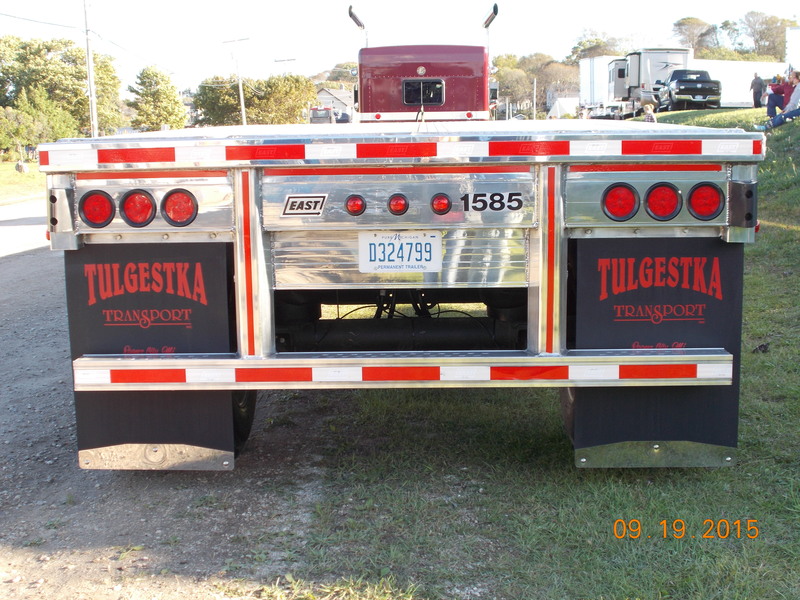 Established in 1982, Tulgestka Transport began and remains as a family owned and operated business. The Tulgestka Transport fleet currently exceeds 50 semi trucks and specializes in flat beds, step decks, multiple axel flat beds, vans and tankers. These trucks travel all 48 states plus Ontario, Canada. The Tulgestka Transport office personnel and drivers take great pride in delivering freight with dependablity, punctuality, and safety. Our trained and professional staff will guide you through your transportation needs from initiation to completion. Tulgetstka Transport offers flexible job opportunities. Part-time, full-time, long distance and local routes available now. Two new trucks joined the fleet in April. 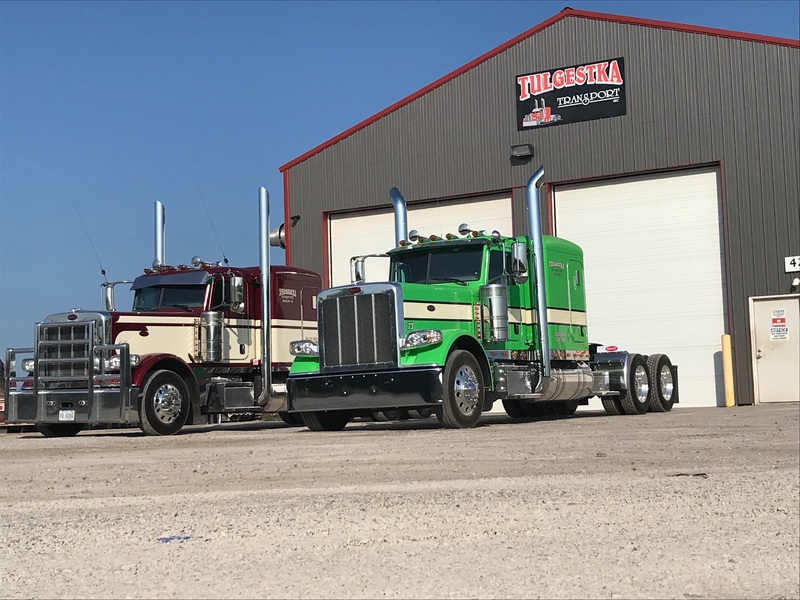 The "twins" are both 2016 Peterbilt 389. Aaron Rose, a Tulgestka Transport driver for 3 years, competed in the 2015 St. Ignace Truck Show. He placed 2nd in the Working Class Combo category with his 2015 W900 Kenworth and 2015 East flat bed trailer.